These felt moons are imported from a manufacturer in Nepal that practices fair wages, good working conditions, and does not employ child labor. 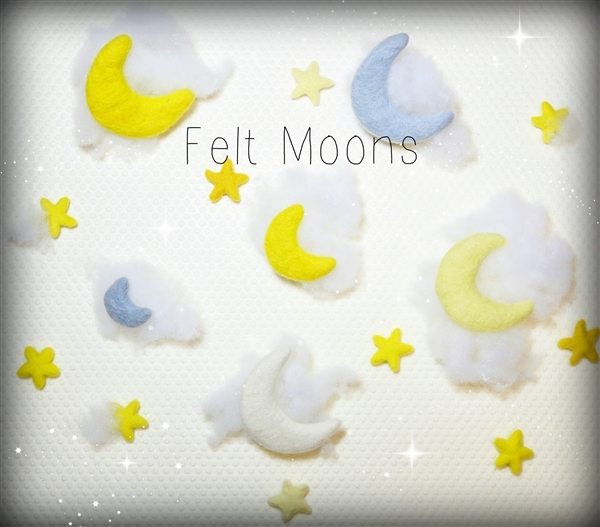 Felt moons are handmade with 100% wool fibers and wool fibers are dyed using Azo-free dyes. Soap, hot water, and gentle agitation is used to form these felt balls by hand. 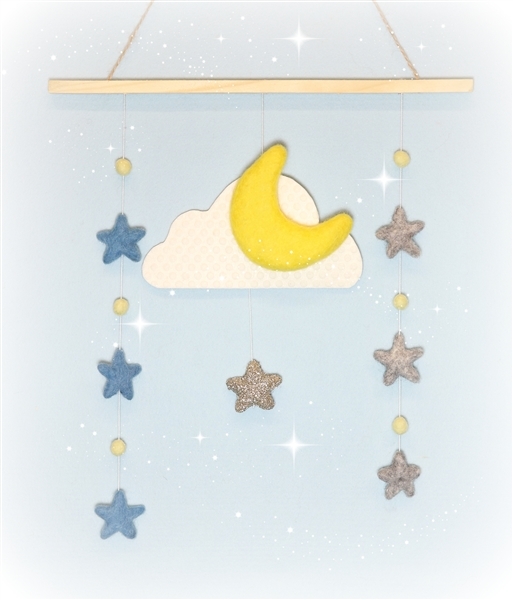 These moons make easy decorations for garlands and baby mobiles. 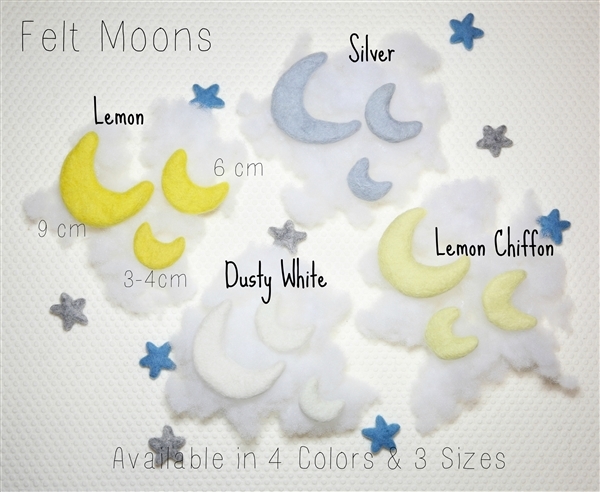 ** Felt moons colors are NOT made to match our 100% wool felt sheets, rolls, ribbons.